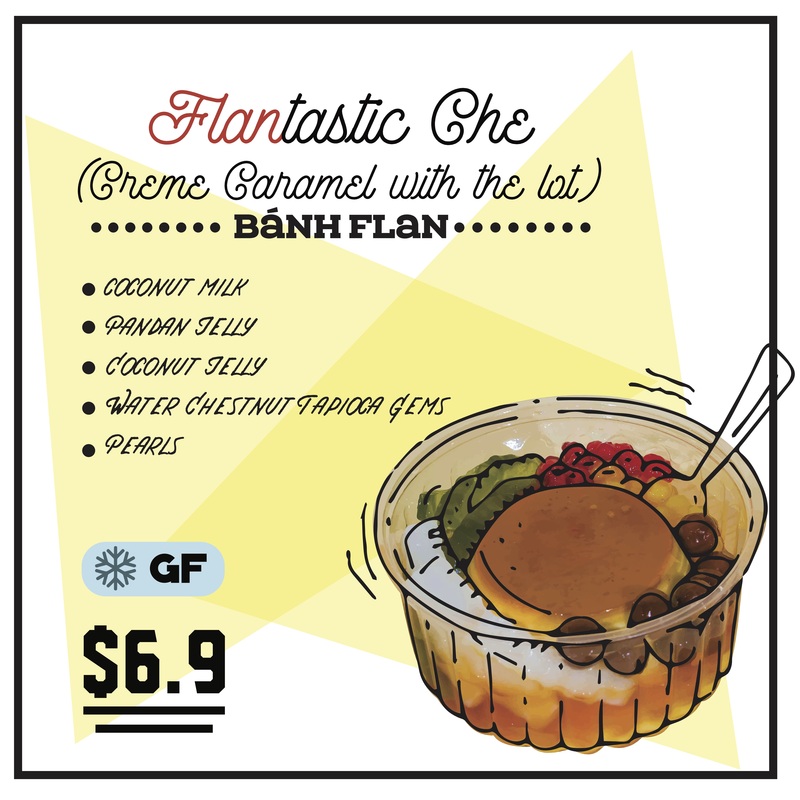 Flan is another French influence in Viet cuisine and we took it to a different level. The silky smooth flan, baked from premium eggs and fresh milk, will just melt in your mouth. It can be enjoyed by itself, with a splash of coffee, or in combination with various toppings: refreshing jellies, crunchy water chestnut gems, and out very own tapioca pearls in the base of coconut milk.